Basic maintenance kit for the 34" Montezuma and 44" Sephra FIXED basin commercial chocolate fountain. Only for the models that have the FIXED basin bowl and ROUND center spindle. Rated for 2000 hours of use. This kit is to maintain the 34" Montezuma and 44" Sephra commercial chocolate fountain models that have the FIXED basin and the ROUND shaft spindle. This is the original fountain model. The parts in this kit are the normal wear and tear parts that should be replaced every 500 hours of fountain use. 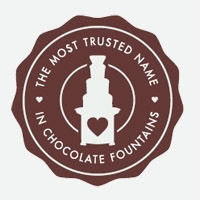 If the fountain is not maintained by changing these parts, chocolate can pass through the seals and damage the motor.